"Hossein Alizadeh was born in Tehran, Iran, in 1951. After graduating from the Music Conservatory, he entered the School of Music of the University of Tehran in 1975 where he received his bachelor's degree in composition and performance. 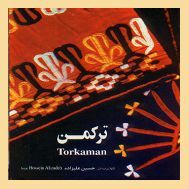 During the same period he studied with various masters of Traditional Persian Music such as Houshang Zarif, Ali Akbar Shahnazi, NurAli Borumand, Mahmood Karimi, Abdollah Davâmi, Yousef Foroutan, and Saied Hormozi. From these masters he learned the Radif of Persian classical music. Upon completion of his studies, he was awarded a position with the National Orchestra. He became the conductor and soloist of the Iranian National Orchestra of Radio and Television of Iran and began a solo career through which he has performed both in Iran and abroad. He established the Aref Ensemble and worked with the Shayda Ensemble, both dedicated to the promotion and advancement of Persian classical music. Alizadeh's first professional experience in Europe was his participation in the orchestra of the famous Bejart Ballet Company in performance of Gulistan, a ballet by Maurice Bejart. In the early 1980's, he further expanded his formal education by studying composition and musicology at the Universityr of Berlin. Alizadeh has performed extensively throughout the United States, Europe, and Asia and has appeared on many radio and television programs, including Radio France, RIAS in Berlin, WDR in Cologne, the BBC, KCRW in Los Angeles, and KPFA in Berkeley. Some of Alizadeh's most noted compositions are, The Nava Improvisations (1976), Riders of the Plains of Hope (1977), Hesar (1977), Revolt (1983) for harp, string orchestra, and percussion, NeyNava (1983), Dream (1986) for harp and flute, Torkaman (1986), Raz-O-Niaz (1986), and Song of Compassion (1991). 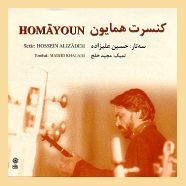 Many consider Alizadeh as one of the most important figures in contemporary Persian music. He has taught at the University of Tehran and the Tehran Music Conservatory. He has written and published a number of etudes for tar and has recorded the enfire body of the Radif based on the interpretation of Mirza Abdullah for Tar and Setar."